Why move your hall's booking online? Visitors can see hall availability and book online. Approve, edit and cancel bookings with ease. Send out invoices with a couple of clicks. Simple booking management. You don't need to be a tech wizz! One click to approve a booking and send a confirmation email. Your venue can earn more money. People are more likely to book if they can do so without calling. Your Bookings Secretary doesn't need to waste time answering the same questions. See if there is space available. Download booking forms, alcohol licence. Amend or delete a booking. Receive email about new bookings. Approve bookings with one click. Save time with fewer calls! Do you have regular bookings which you want to take by phone? No problem! You can easily add the booking to the system yourself. 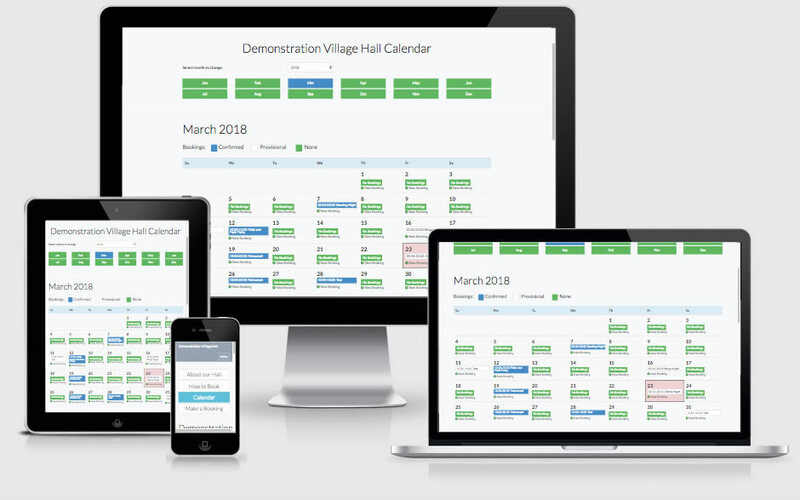 Manage your bookings with ease! You don't need tech skills to use our system. We'll send you an email when someone makes a booking. You can click to review it and approve the booking. Our system sends out the approval email instantly. You can manage everything from an iPad, a phone or a computer. Best of all: you can take the system for a spin right now! Why not book an event at our demonstration Village Hall? You can then log in as the Bookings Secretary and approve yourself! Move your hall booking online. Increase bookings and reduce your Bookings Secretary's workload! Use our 60-day no-commitment free trial. You don't need to pay in advance. After your evaluation period, we're confident that you'll want to use our services! Sign up today! Sign up for a free 60-day trial.